A native of Lafayette, Benjamin earned his Bachelor of Science degree in Business Administration, with a concentration in Business Law, from Louisiana State University. He obtained his Juris Doctor from Loyola University New Orleans College of Law. 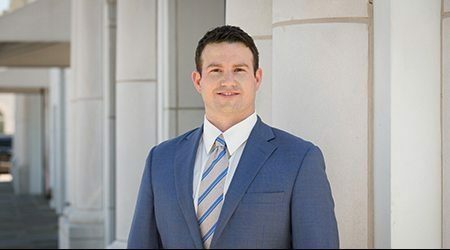 Upon earning his Juris Doctor, Benjamin formed a land and energy services firm, where he serviced the needs of oil & gas clients throughout the U.S., overseeing projects in Louisiana, Texas, Mississippi, Ohio, Kentucky and West Virginia. He aided his clients in the acquisition and development of thousands of acres in various oil and gas plays for almost 6 years, spending most of his time away from his Acadiana roots. Benjamin joined the Lafayette office of Galloway Johnson in 2016. His practice focuses on oil/gas, title resolution, professional liability, insurance defense and general litigation. He is a member of the Louisiana State Bar Association, the Lafayette Bar Association, the American Association of Professional Landmen and the Lafayette Association of Professional Landmen.